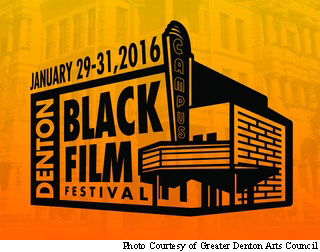 For the second year in a row the Denton Black Film festival will run from Jan. 29 through the 31st at the Campus Theatre. Hosted by the Greater Denton Arts Council and Denton African American Scholarship Fund, the event will bring 28 films to the eyes of eager viewers along with art and music show pieces and celebrations. While films will run from Jan. 29 to 31, the festivities began even earlier and were certainly welcoming of Denton’s college students. On Jan. 7 Annette Lawrence, a UNT professor and Chair of Studio Art at UNT’s College of Visual arts and Design, let her works be put on display at UNT on the Square where guest artists, writer and Lawrence appeared to speak with art patrons. On Jan. 23 a community celebration featured TWU dancers and many more family friendly and educational activities. Tickets for any of the films being played can be bought with a student discount and anyone with a musical ear may wish to hear TWU’s and UNT’s ensembles sing and watch TWU’s praise dancers shake a tail feather Jan. 31 at the tribute to gospel music.